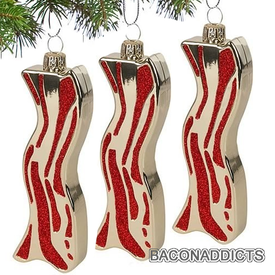 On the 4th day of Christmas, my true love gave to me...a glistening Bacon Ornament! It's not Christmas until you get your Bacon Ornament on the tree! SPECIAL OFFER: Bacon Ornaments on sale now...with FREE shipping!